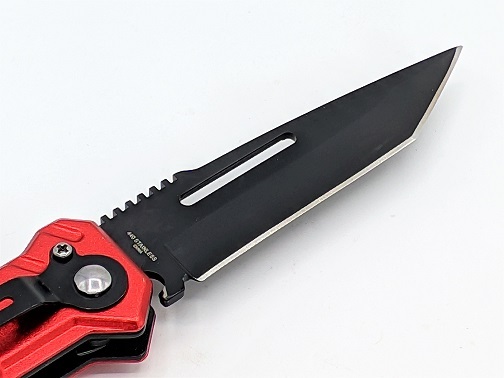 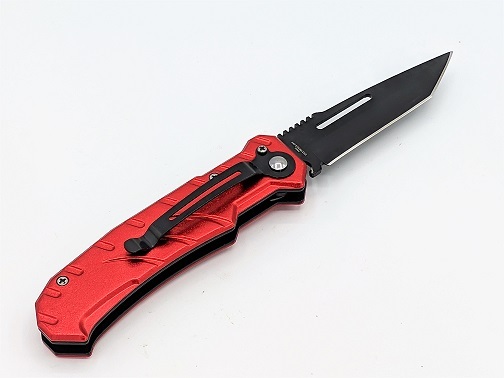 Our Red Tanto Automatic Knife Features A 440 Stainless Steel Black Finished Tanto Blade. 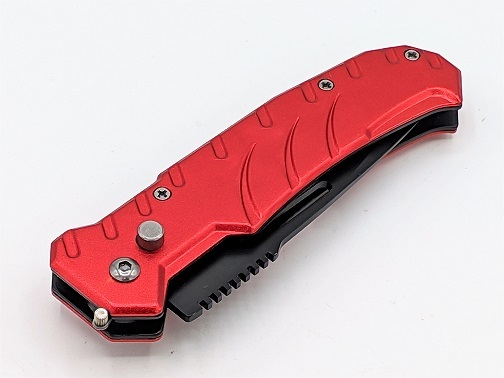 Metallic Red Anodized Aluminum Handle Construction. 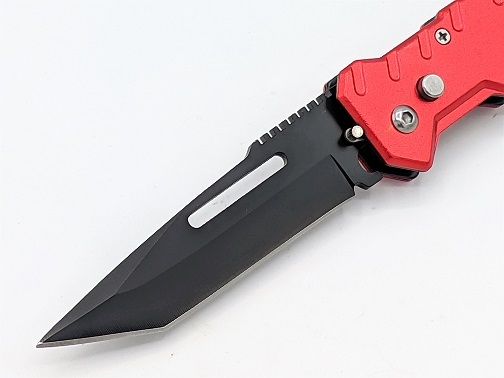 Push Button Opening. 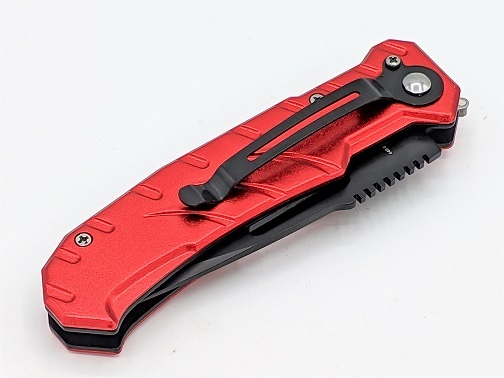 Includes Safety Lock And Pocket Clip. 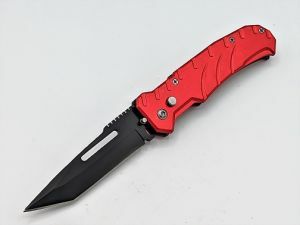 Overall Length: 8.25" Blade Length: 3.75"